AV Bristol celebrates opening with reader discount offer | What Hi-Fi? 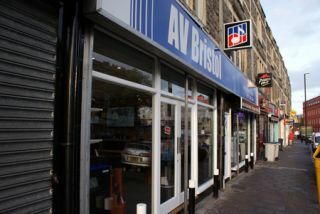 AV Bristol will officially open its first store on Monday, November 7th and to celebrate is offering local What Hi-Fi? Sound and Vision readers a 10% in-store discount. Pop in to the store, which is located on North Street, Bristol, and simply quote "What Hi-Fi?' to qualify for your in-store discount voucher. Non-local shoppers can get a 5% online discount voucher by visiting the store's Facebook page. And if you're particularly quick, you could still make it to AV Bristol's open evening which kicks off tonight (November 4th) from 5pm to 10pm with demos and free drinks and nibbles. The new store has been kitted out with a wide range of hi-fi and home cinema kit, as well as a dedicated home cinema demo room and a headphone table. It's located at 247-249 North Street, Southville, Bristol BS3 1JN.